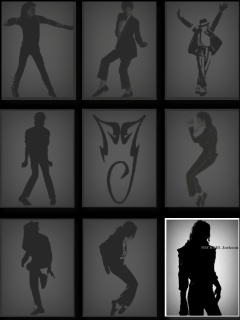 My name Lanesra at mj.com I'm Michael 4ever. Jeeze, it has been a while ladies and god have i missed-ed y'all. Hey 4ever, how ya been? Its little ol me ....debbii100. The Brit with the book!!! Love the site....it is wonderful. Like everyone else I am fed up with being messed around at the Sony site!! I do think that they are hoping that we will all get fed up and abandon ship!! However, no skin off my nose if it is to a site like this!! Looking forward to continuing all our chats!! I am Valerie aka (MJ WAS A CUTIE PIE) from the MJ.com forum. I want to thank you ladies for taking the time to do this, truly a labor of love. We need to have another site that truly has the fans in mind. Sony does not care nor do they bother to explain what is going on with their site. I look forward to reunited with friends that I know and meeting new ones. Hello everyone, and thanks for the invite. I will fill you in on a little bit about me. My real name is Yolanda but Lonnie has always been my nickname the 38 was my age but February changed all that as father time added another year, but I am just going to stay 38 from now on. I am married with four children (Elizabeth 20/ Wyatt 14/ Cyaira 11/ Dalton 9), and after being laid off I went back to school. So I am working on a bachelor degree in Social Science w/ Education Concentrate hopefully to teach children in elementary or secondary school. I am a proud member of the Gold Pant Appreciation Society, I love my sisters there on the MJ forum. Also I am proud to be a member of the Army of Love for Michael, I have been a Michael fan since a music teacher played his song "Rocking Robin" to her class (Thank you Mrs. Fry). Usually I hang out in the US forum but have been popping around to the general as well, so some of you might already know the name. Got to read the Bedtime Story, and keep up on the updates for #Justice4MJ. Whew! was that enough LOL! Hey everyone, I'm Jenna. mkanhnhn-Jenna both here and on MJ.com. I hope you all jump on in. It takes a little while to get used to things in here, but once you do it is soo much fun! Time to get some Michaeling in! Junky here, username KinGofPoP411Jnky @ MJ.com. It may take some getting used to, but you'll be able to get comfy here soon enough, welcome fellow MJ fans! Like Vicy said, this is your home. Welcome to the forum. Hope you enjoy your stay. So without further notice I'll like to introduce myself. My name Sandra at mj.com I'm SandraSFL and I help Vicy moderate this place.